In areas with severe weather, it is important not to underestimate the importance of daily conveniences like dryers. When they are at their best, dryers can make life a lot easier for owners and tenants alike. Over time, however, the convenience of dryers can be limited through impassable ventilation systems. Blocked vents can lead to health hazards, fire hazards, and a whole lot of inefficiency. 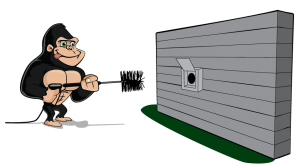 Don’t bother with the cons when you can call the pros for your Edmonton dryer vent cleaning. A foundation layer refers to the bottom layer of build up that collects along the surfaces of vents and ducts. This foundation later of lint, dust and debris only serves to collect more and more material over time. The longer that foreign materials are allowed to collect the more restricted airflow becomes. The material that is left behind holds onto moisture, and can lead to mould growth. Other allergens, such as dust can collect in this network of unwanted items. Although rare, fires have also been known to escalate based on the flammable nature of lint when collected. Clogged vents lead to health concerns in extreme situations but more common side-effects are inefficiency of appliances and unnecessary wear and tear. 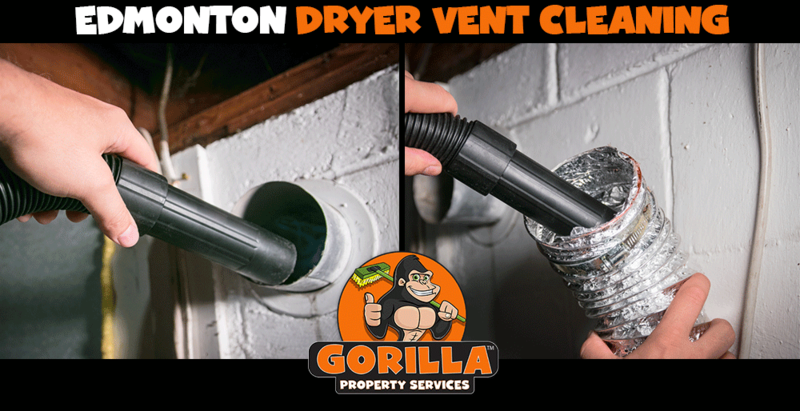 By making your Edmonton dryer vent cleaning a regular occurrence, you can extend the life of your dryer while conserving energy by not needing to run loads more than once. Cleaning the unseen levels of your property takes a lot of care and a lot of training. Walking up to your vents and running a cloth across surfaces won’t yield the results that you need for a smooth-running system. Properly cleaning and disinfecting areas takes both insight and foresight. Luckily, our Gorillas know where to look for problem areas and know what to expect, both for the moment and for the future.